We will be filling our Summer days with adventures. The kids are off on their own adventuring, and after the last five months of soccer, swim lessons, guitar lessons, running here and running there we feel very fortunate to have a nice long break. As it warms up in the valley, we started looking towards the mountains. Flagstaff is two hours away from us, so we decided to start with Payson which is only an hour from here. That drive was so beautiful with mountain sides full of majestic saguaros. When we arrived in January we drove that pass, and it was all covered in snow. Beautiful. 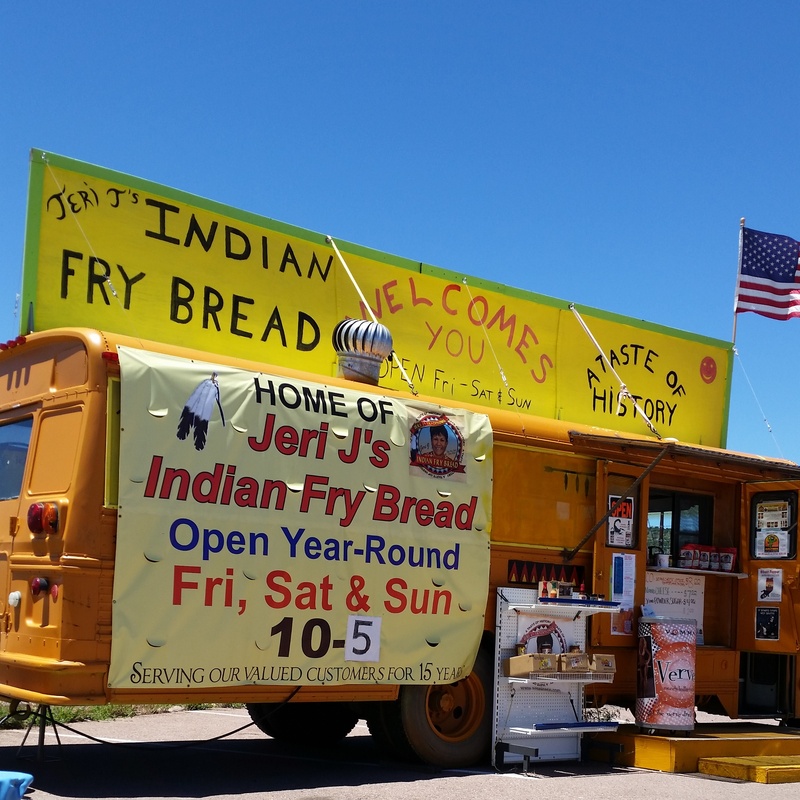 Driving into Payson we saw a small, hand painted, roadside sign pointing us in the direction of Jeri’s-J Fry Bread. That was hard to resist, and since we had Axl we needed something dog friendly anyway. The outside seating made it the perfect spot, and the smell of the fry bread was intoxicating. This place was amazing! I really love simple good food. Nothing fancy. The menu fit on a small white board and that’s all they needed. We ordered the taco with beans, cheese, lettuce, tomato, and onion. 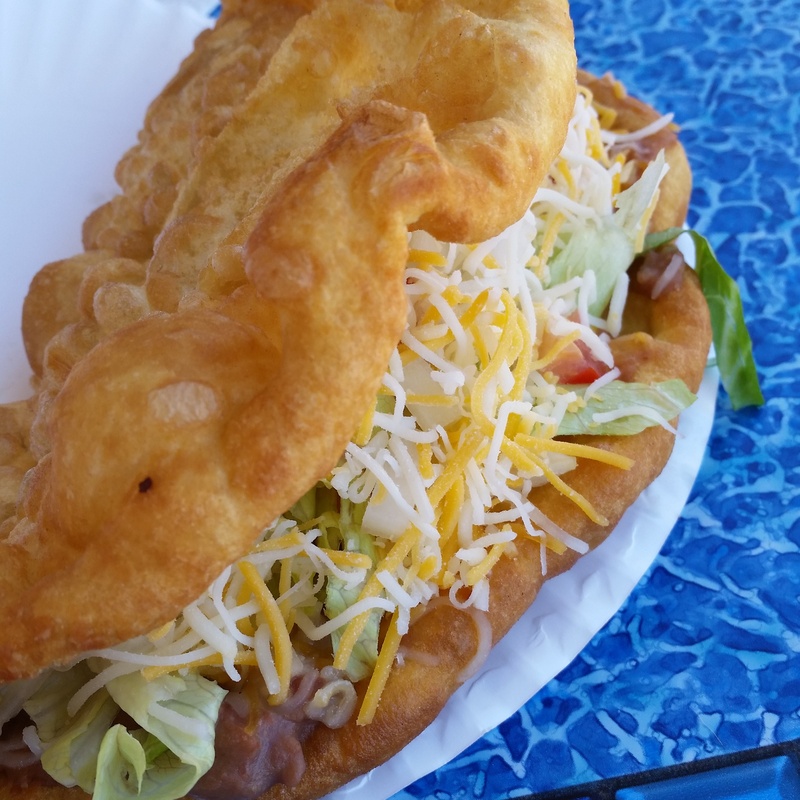 I’m still thinking about that fry bread. Woods Canyon Lake was stunning and will be a perfect SUP spot. It was a bit crowded with many people kayaking on the water, but that was preferable to motorboats and jet ski’s. 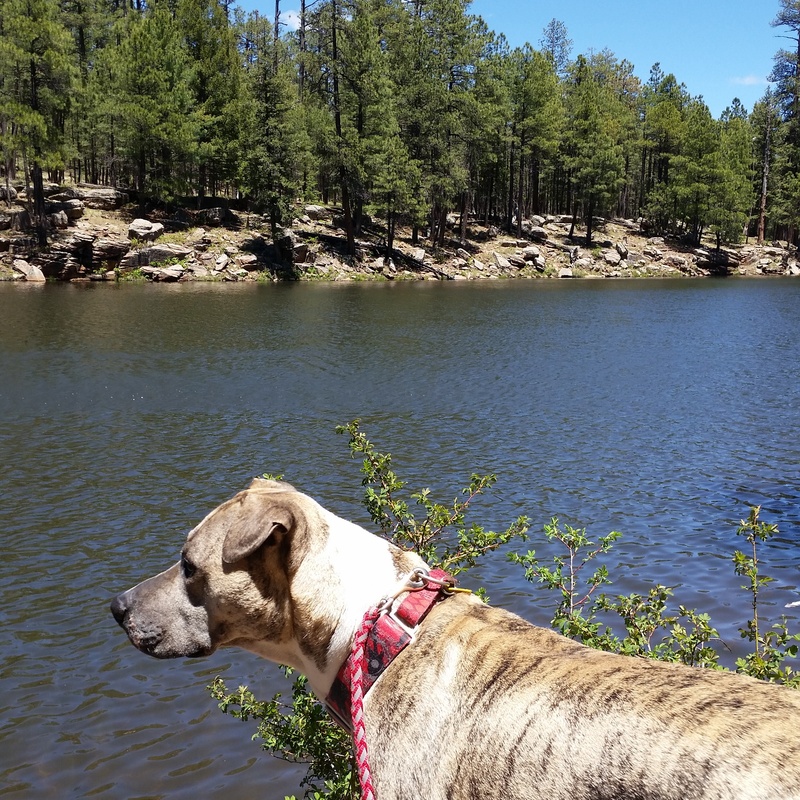 There was plenty of camping options and a nice hike around the lake. The best part? It was 30º F cooler up there. We will be back. Next: Next post: Self Help Obsessed?